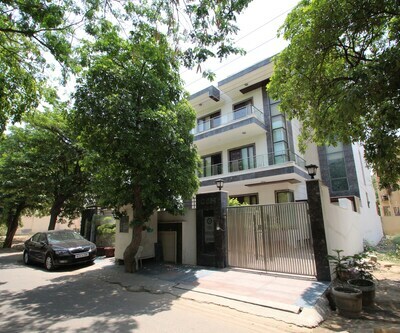 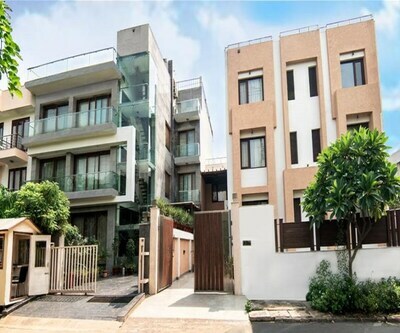 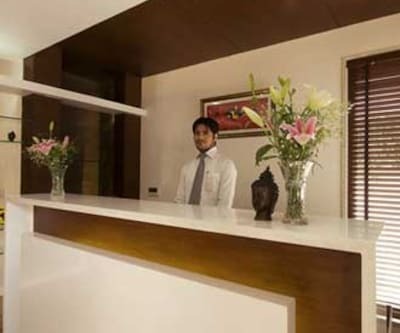 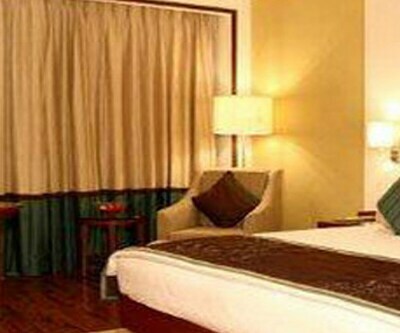 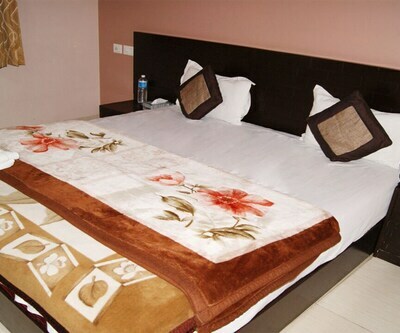 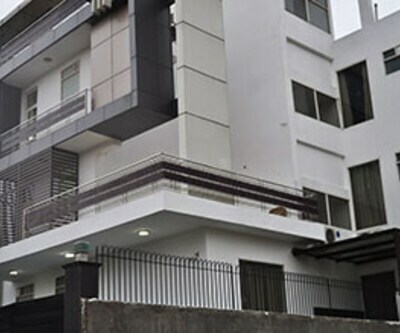 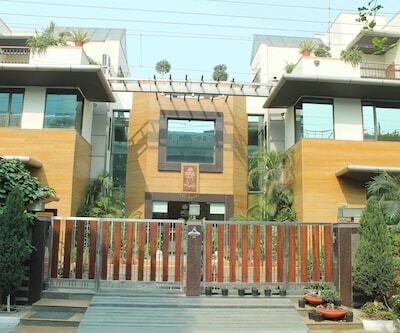 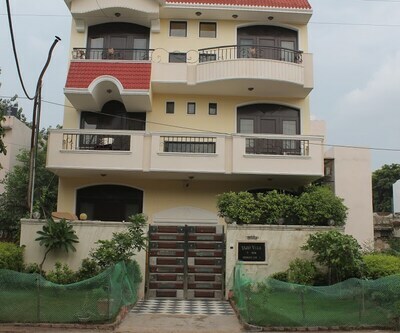 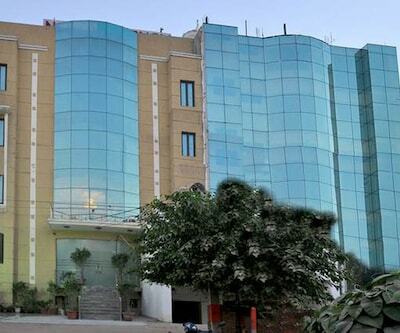 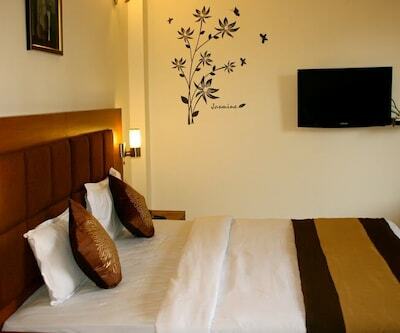 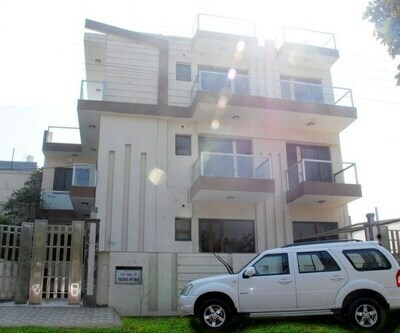 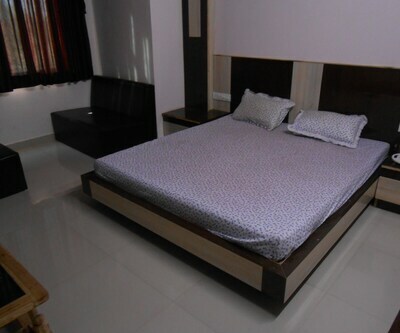 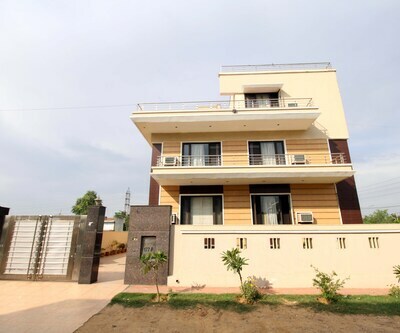 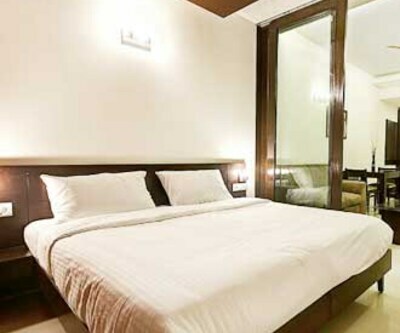 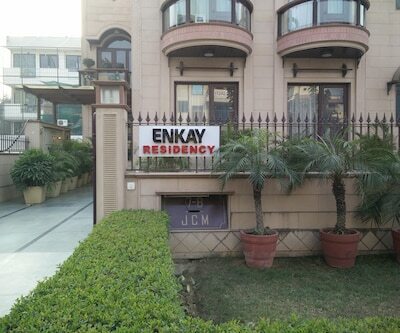 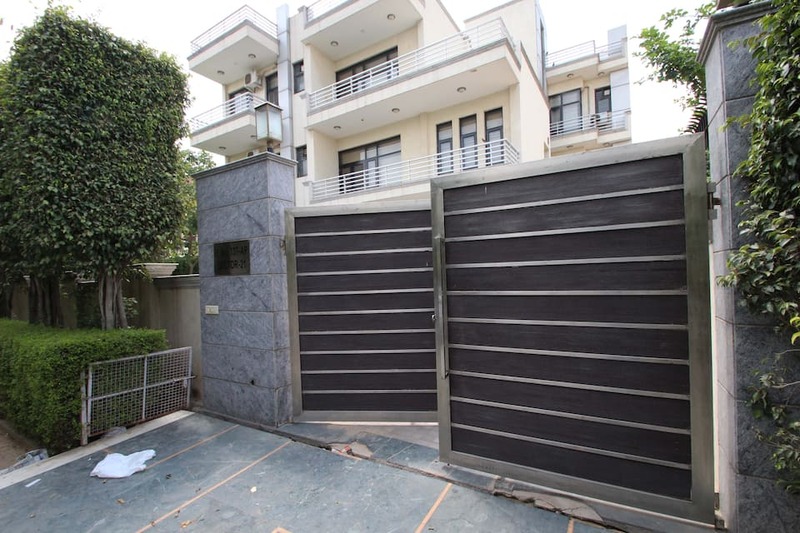 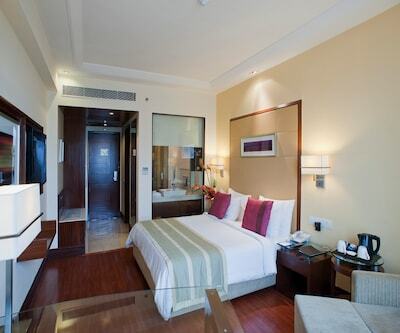 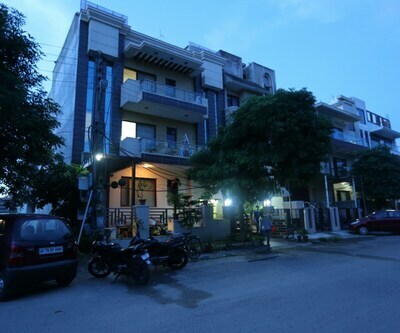 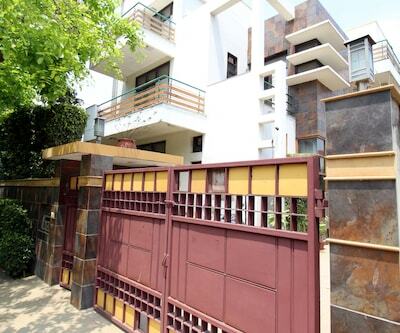 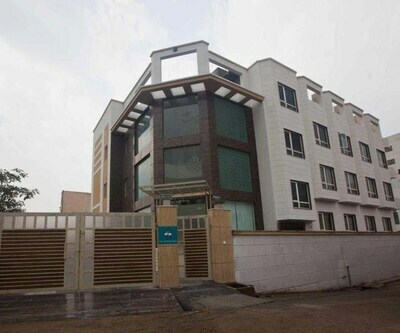 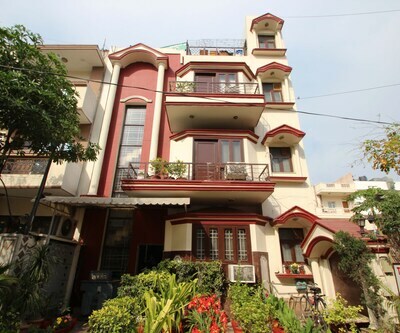 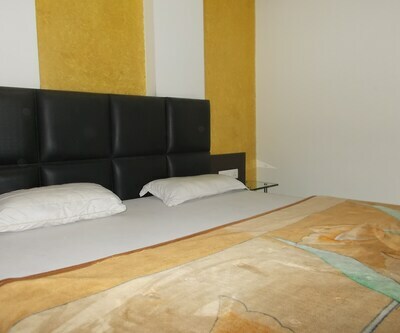 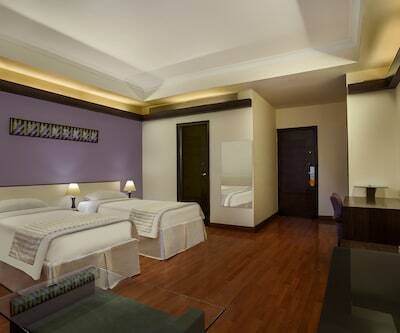 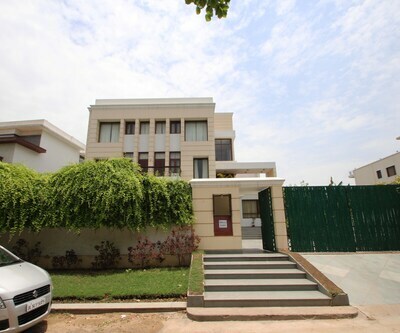 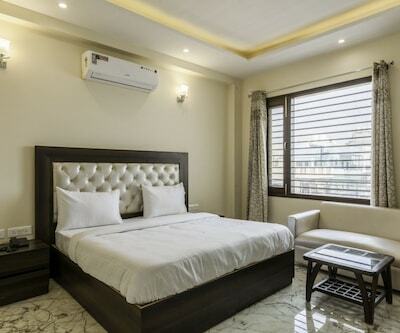 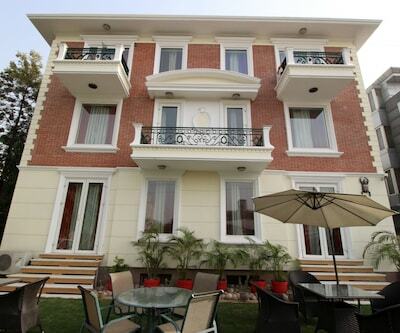 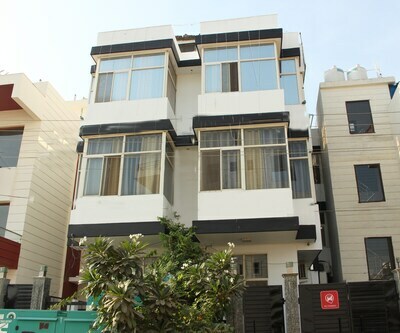 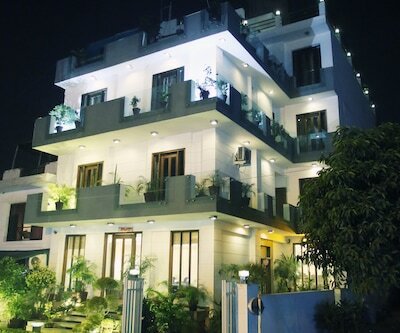 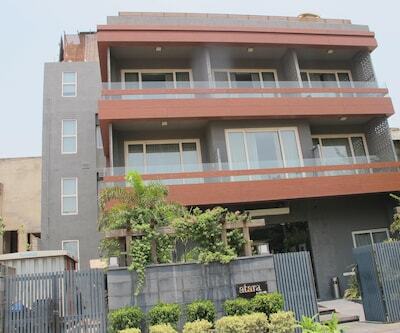 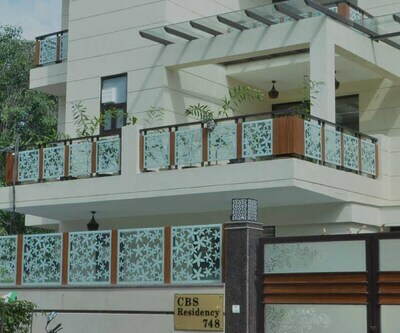 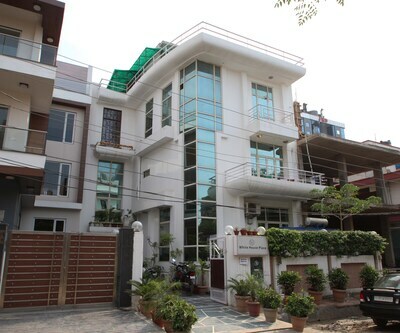 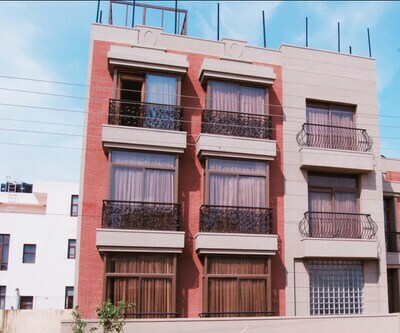 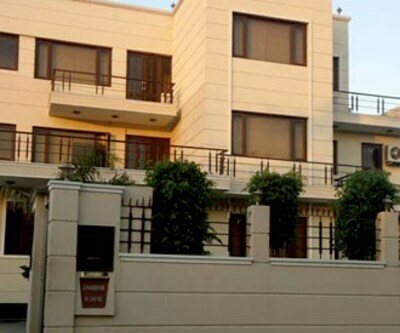 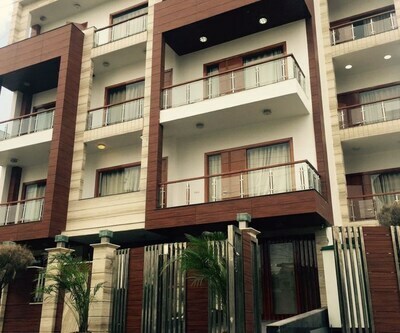 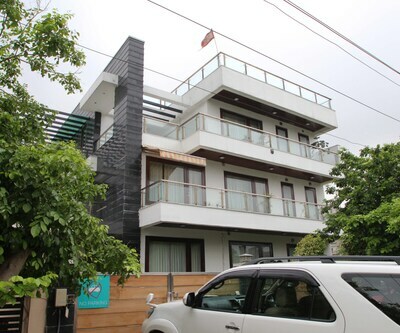 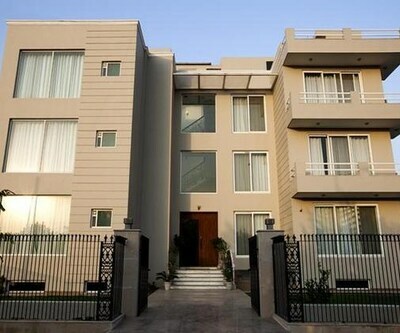 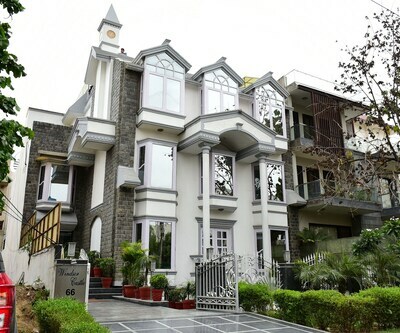 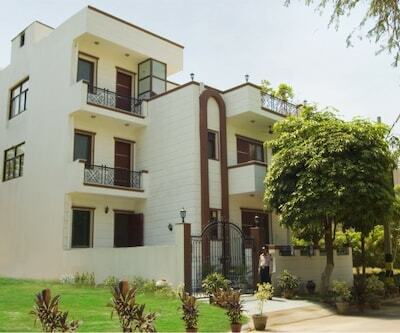 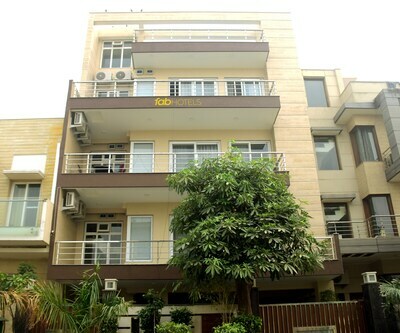 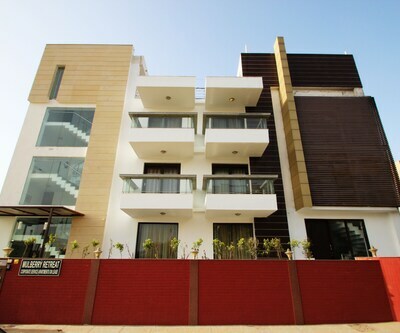 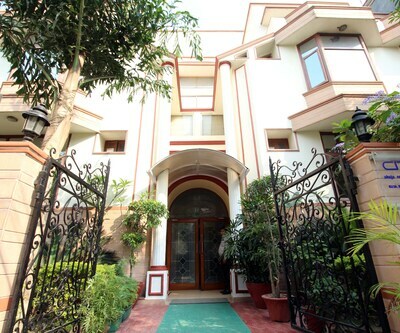 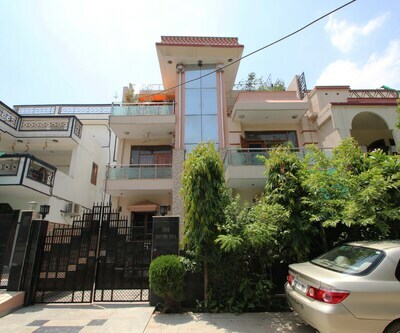 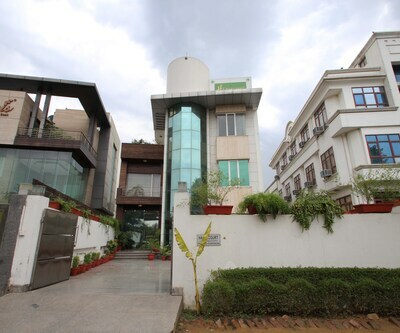 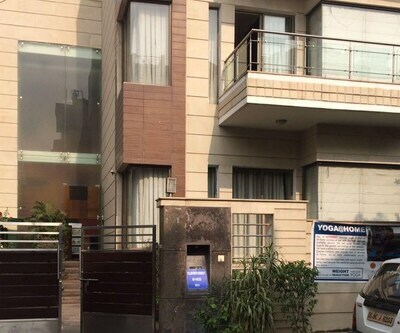 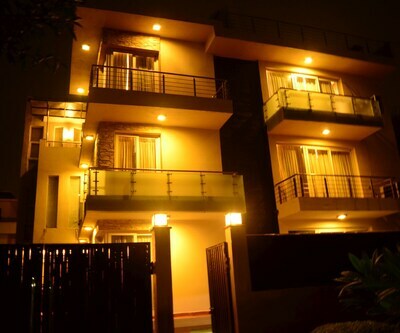 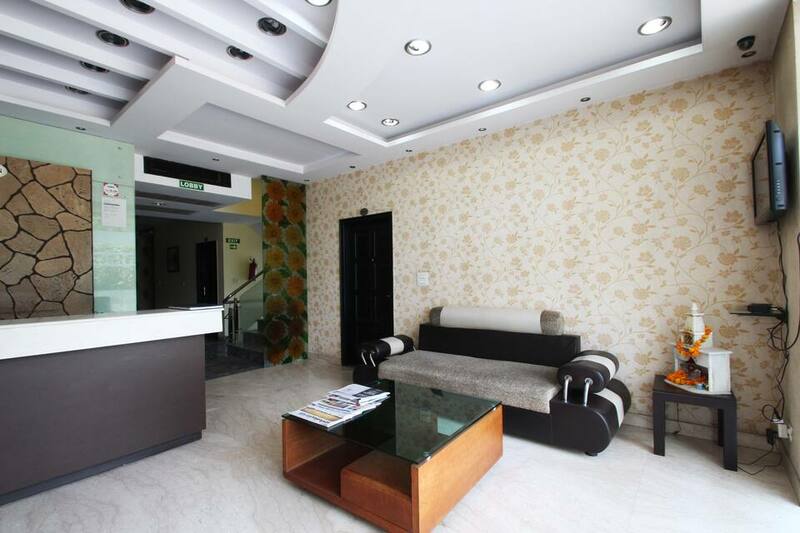 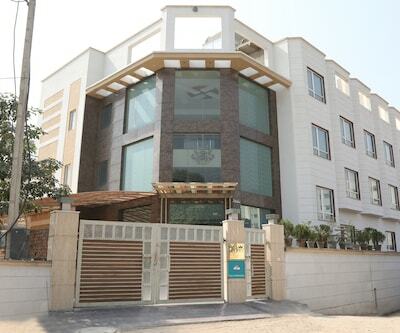 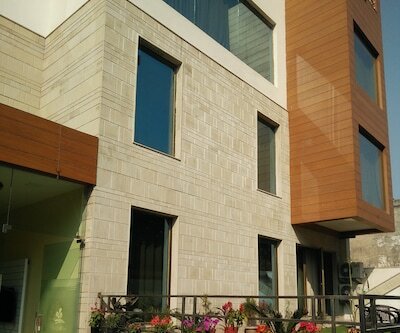 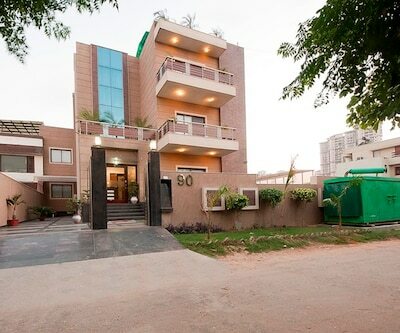 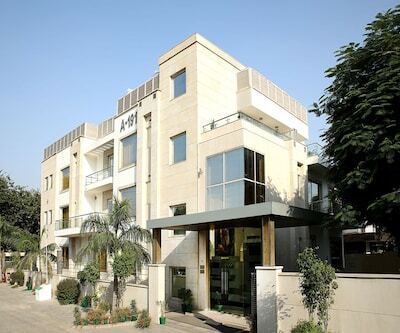 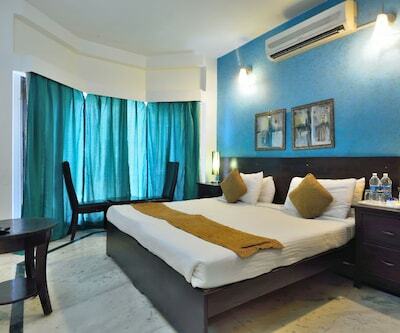 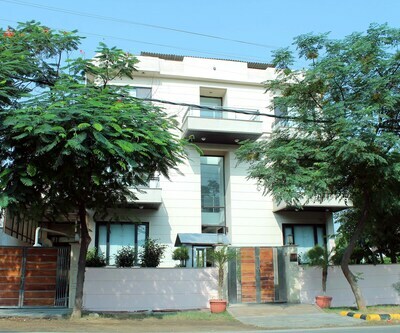 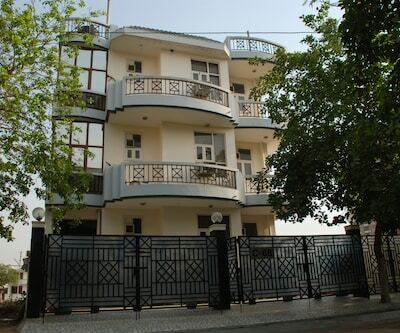 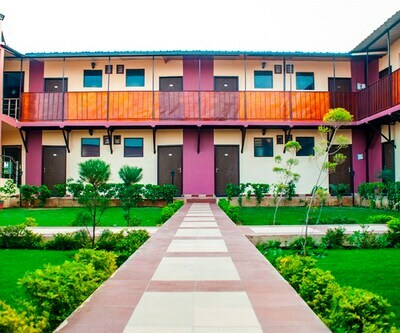 Aura Residences provides comfortable guest house accommodation in Gurgaon. 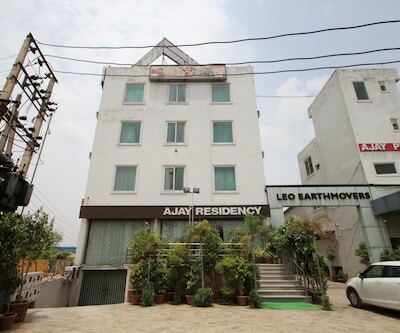 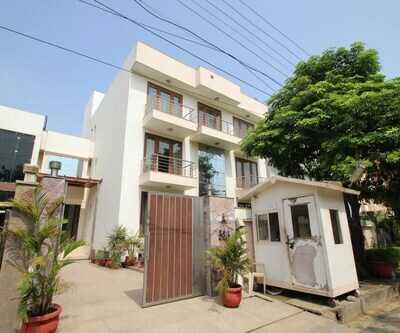 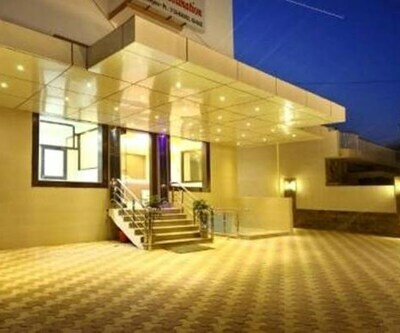 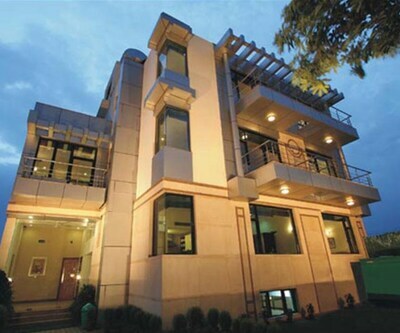 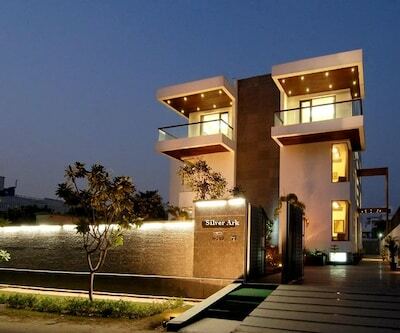 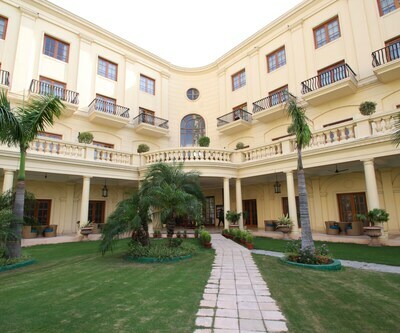 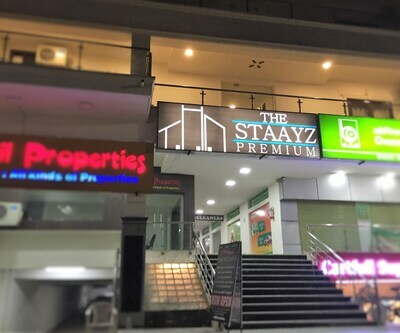 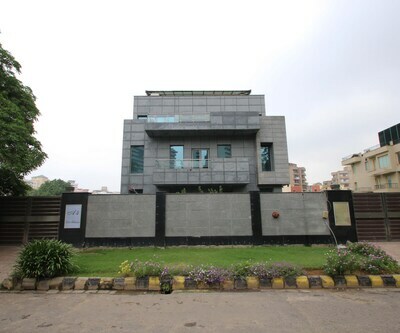 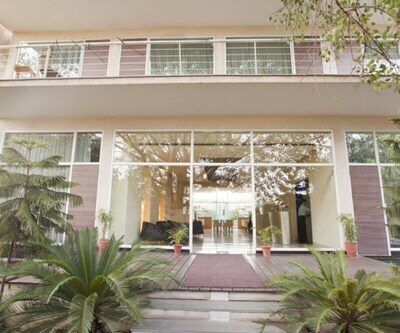 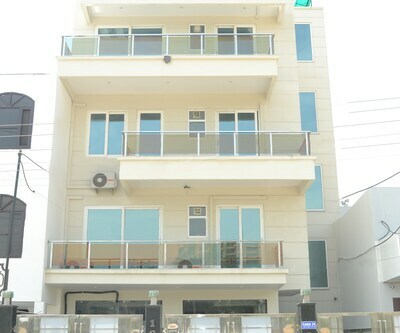 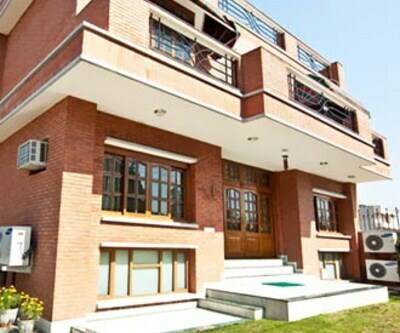 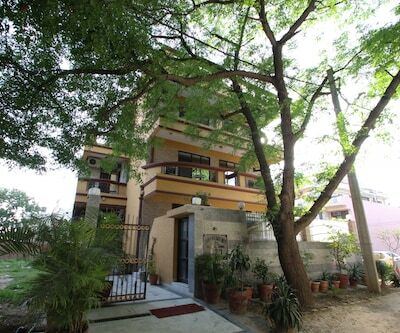 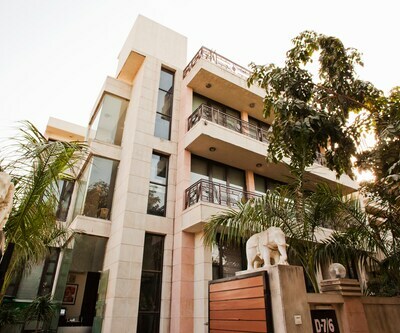 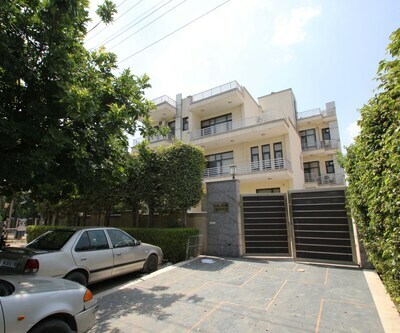 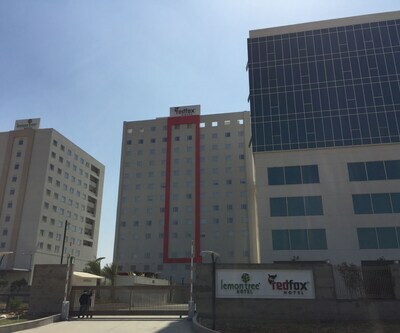 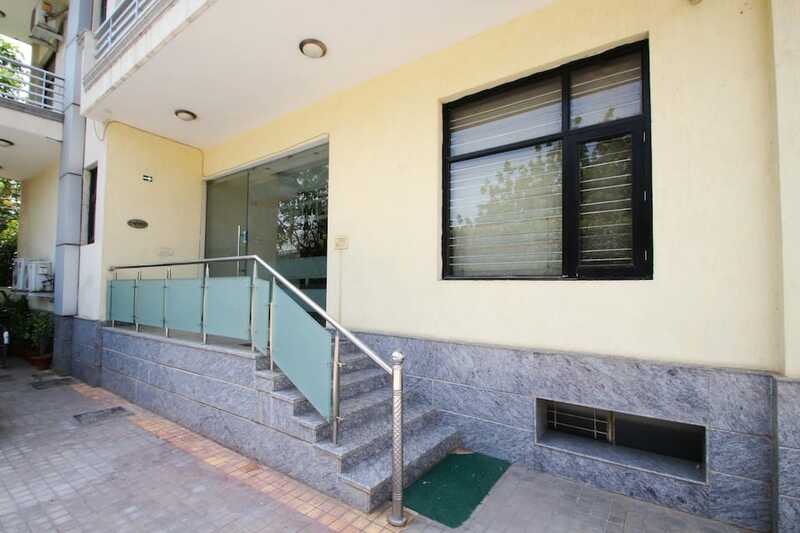 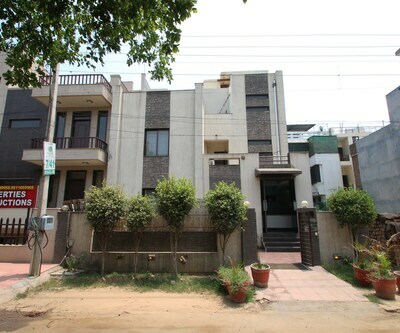 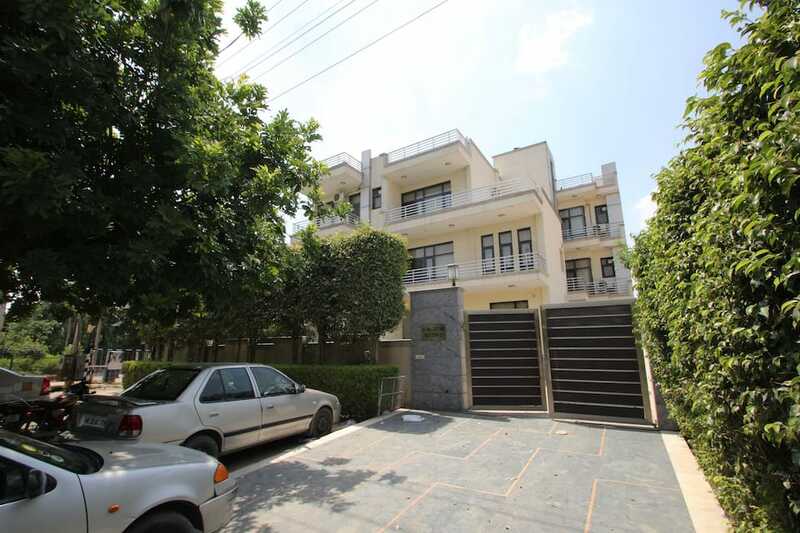 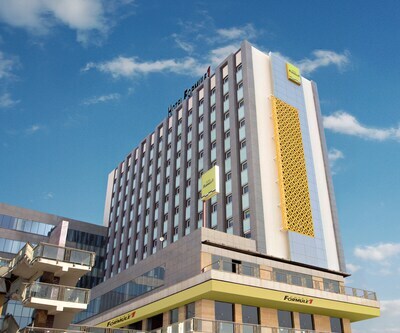 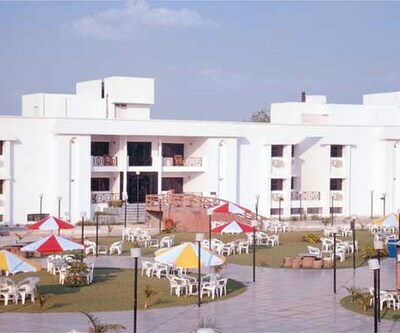 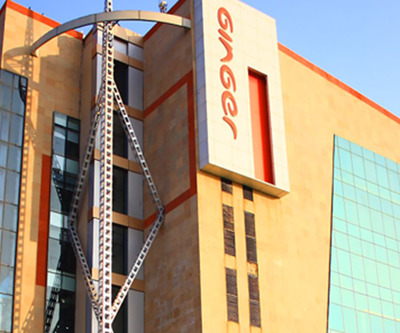 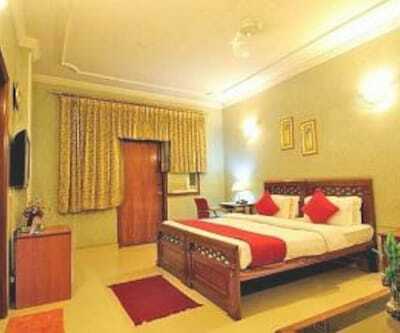 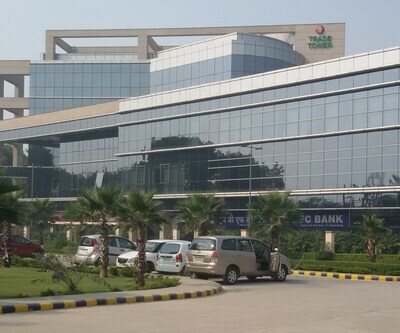 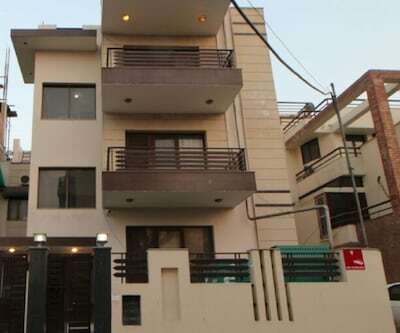 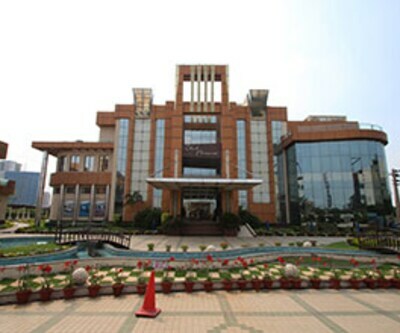 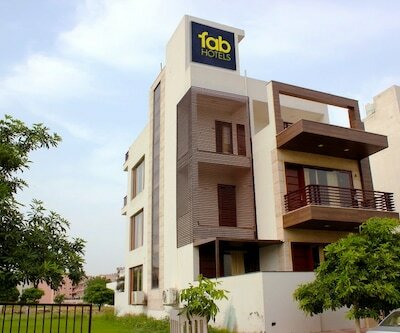 It is accessible from the Gurgaon Railway Station (9 km). 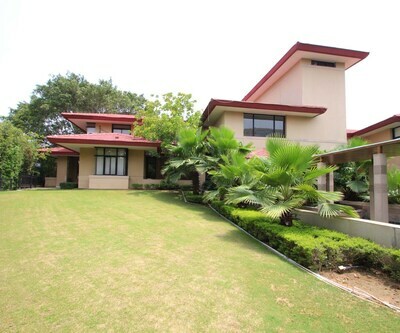 It is at 7 km from the Kingdom of Dreams. 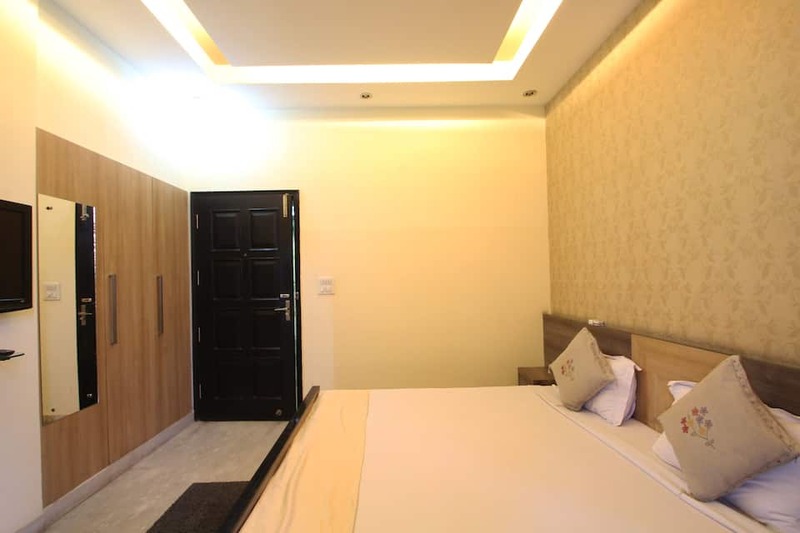 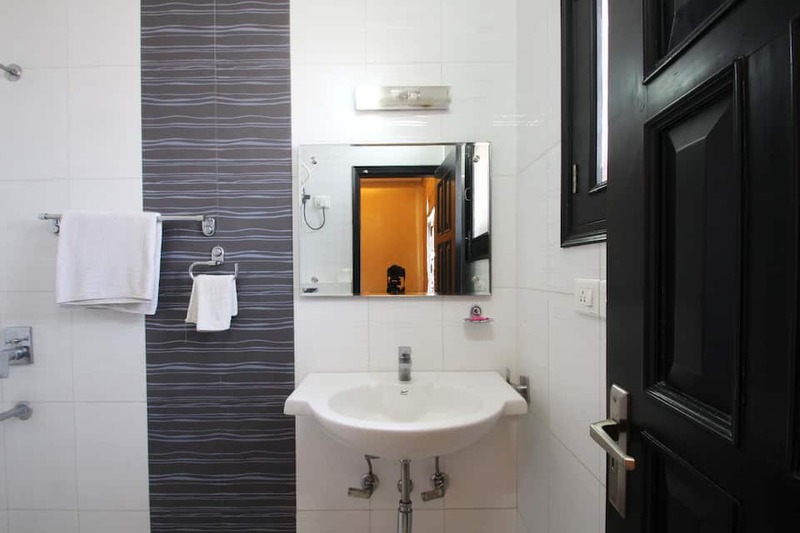 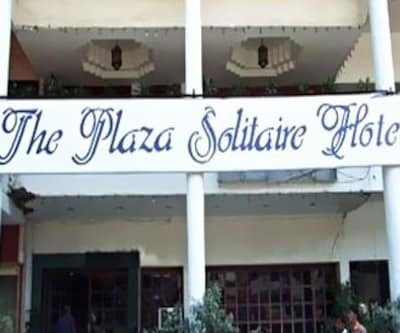 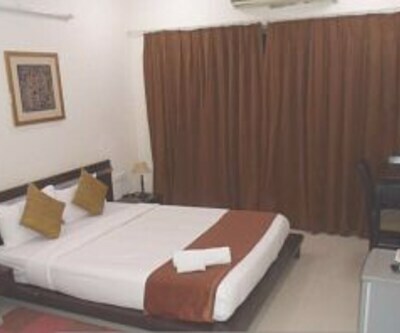 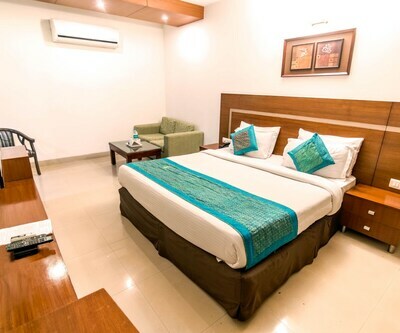 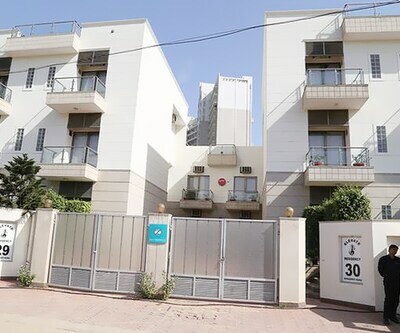 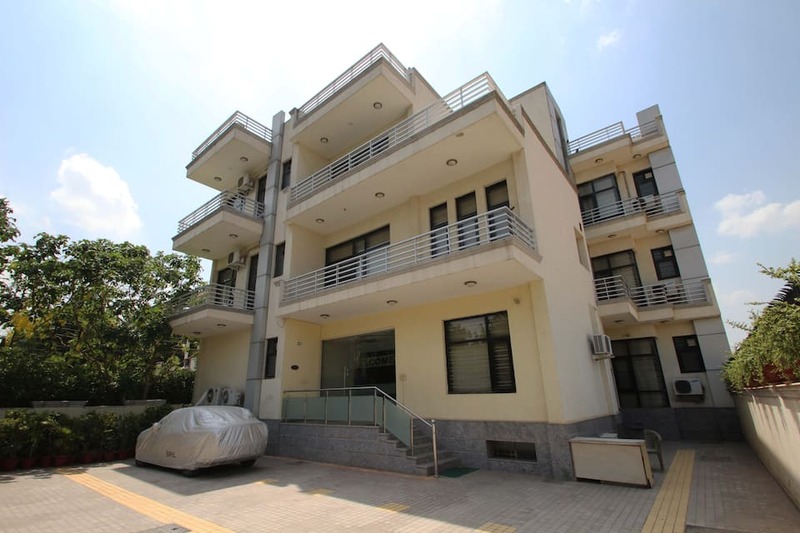 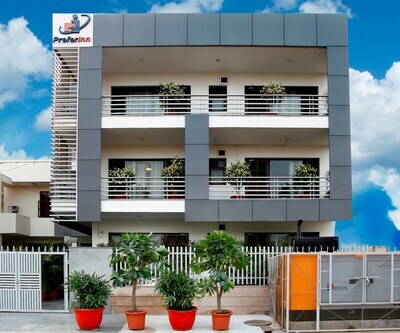 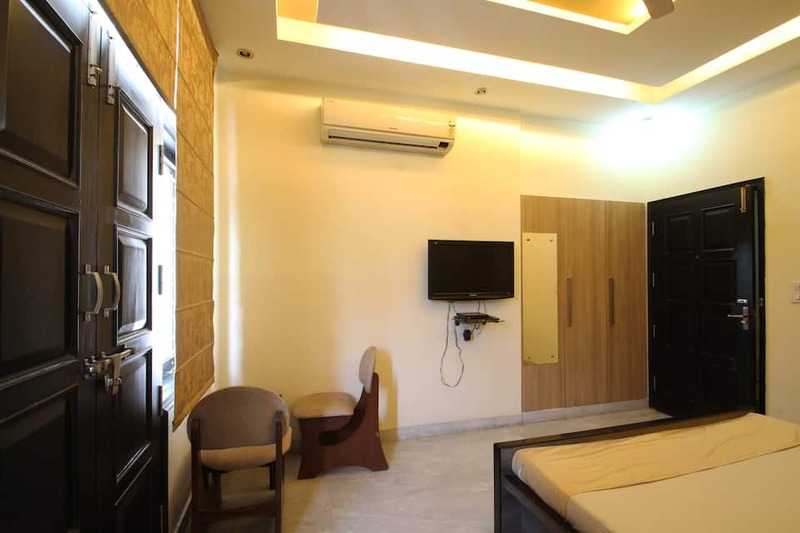 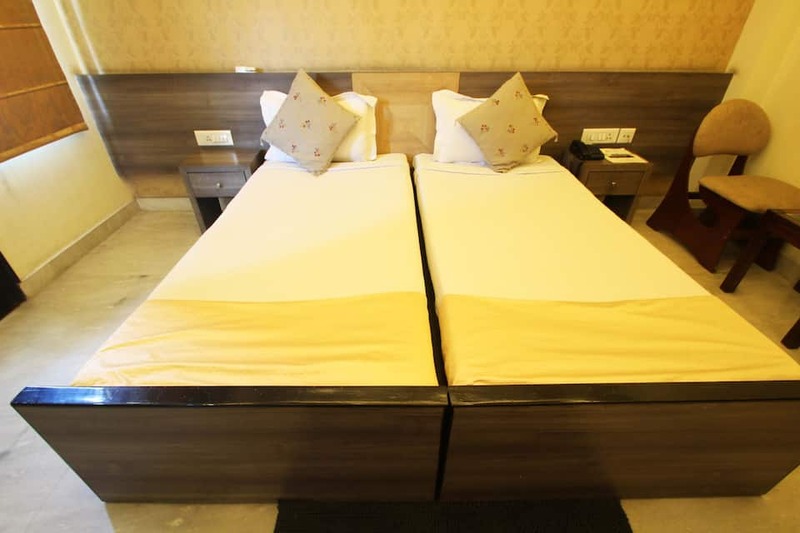 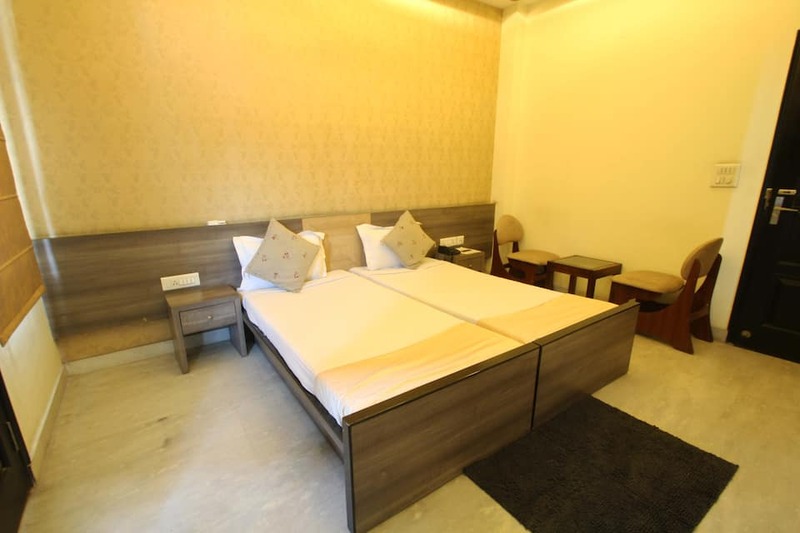 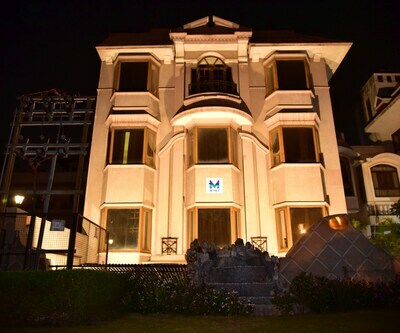 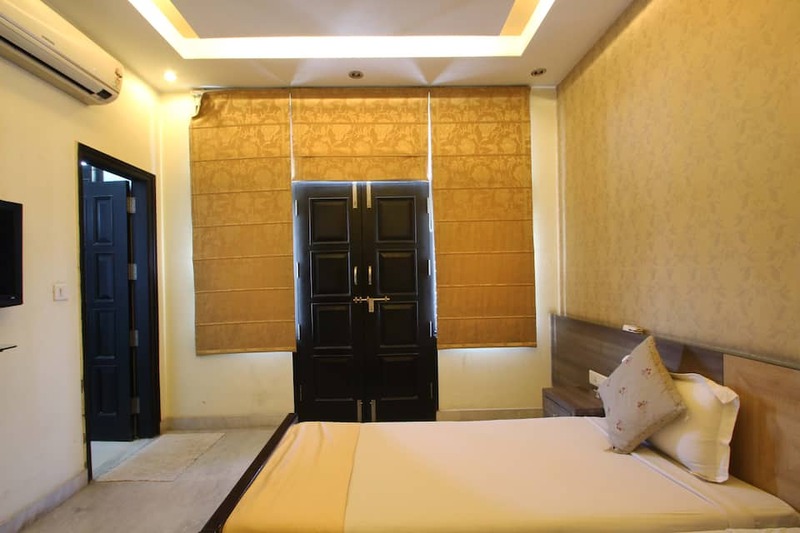 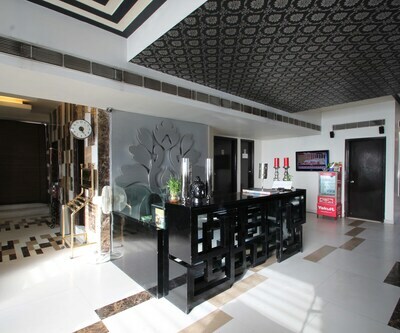 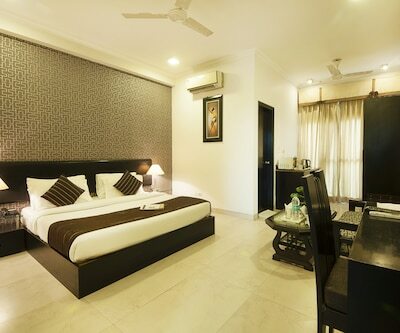 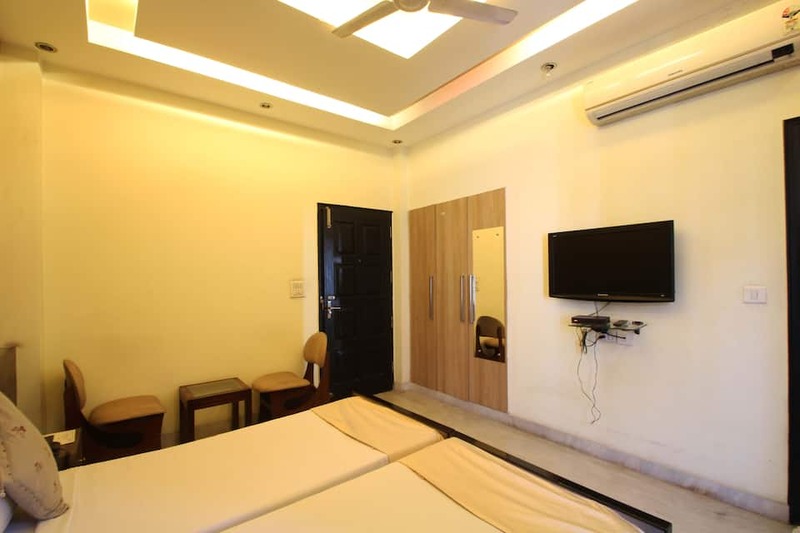 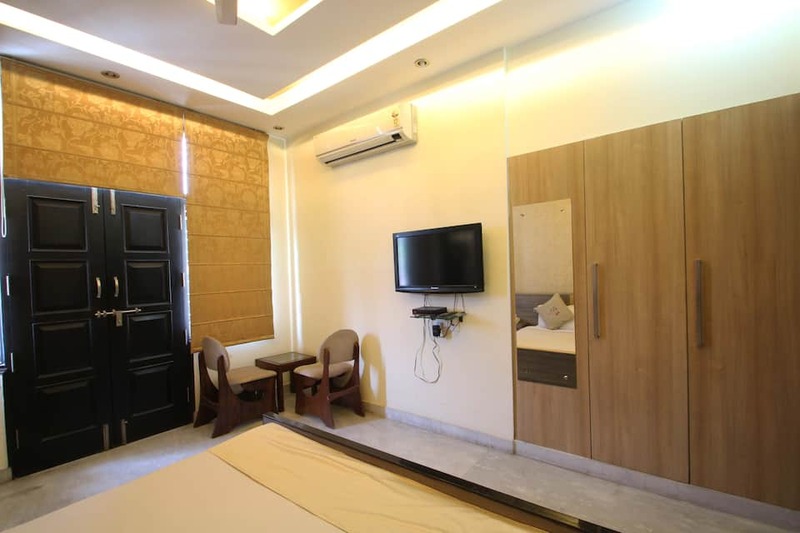 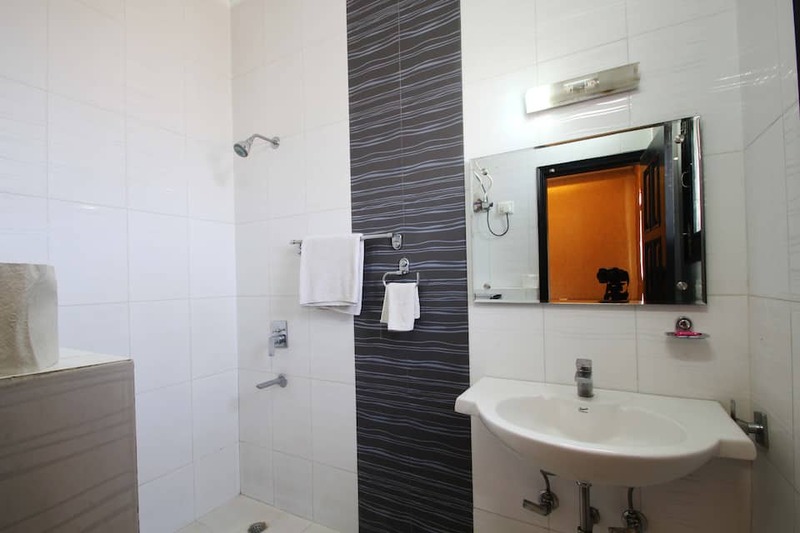 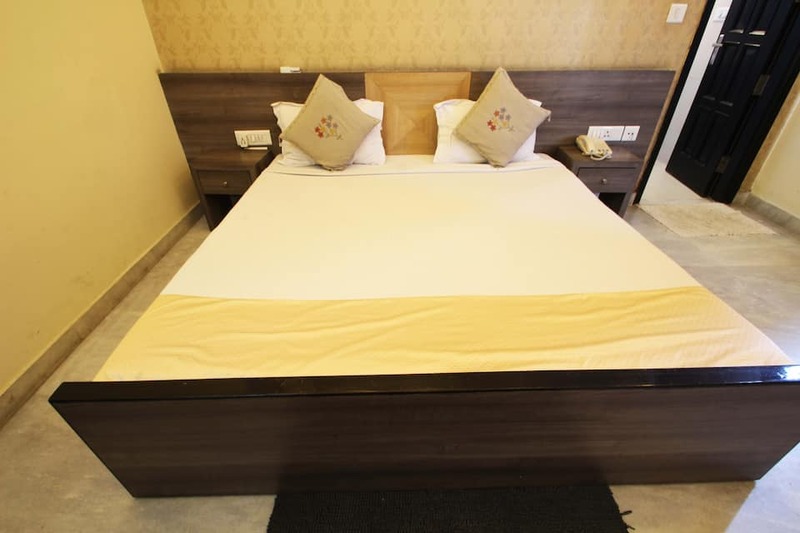 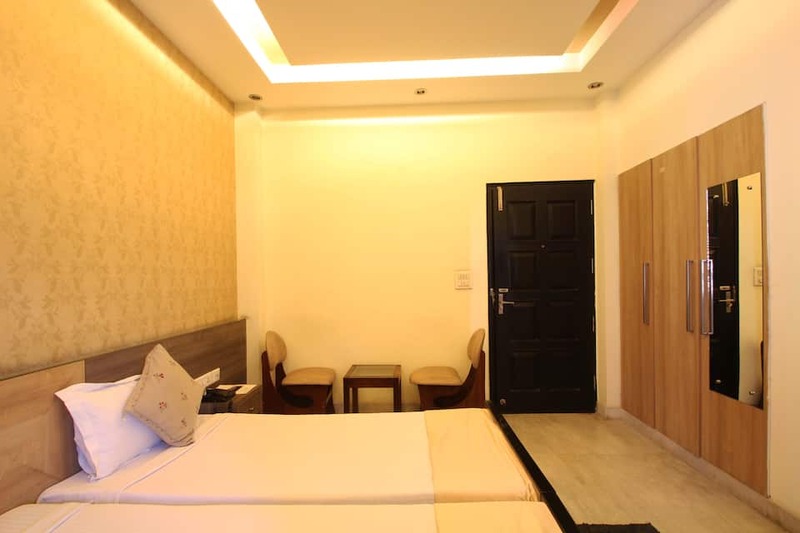 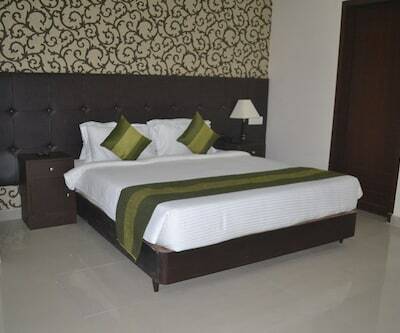 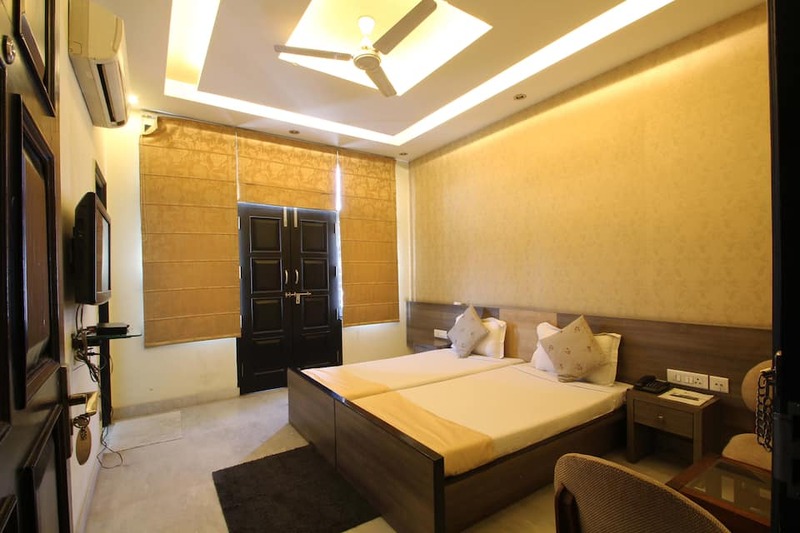 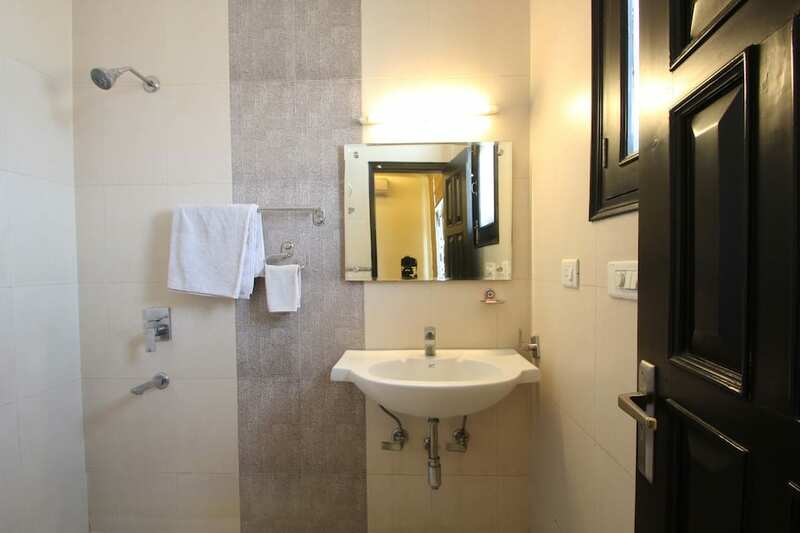 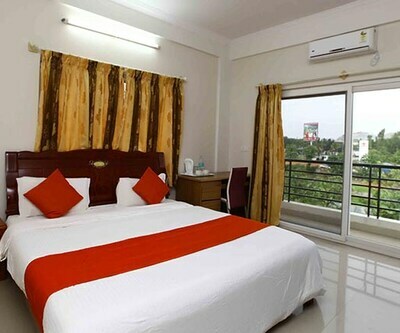 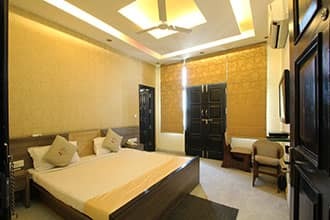 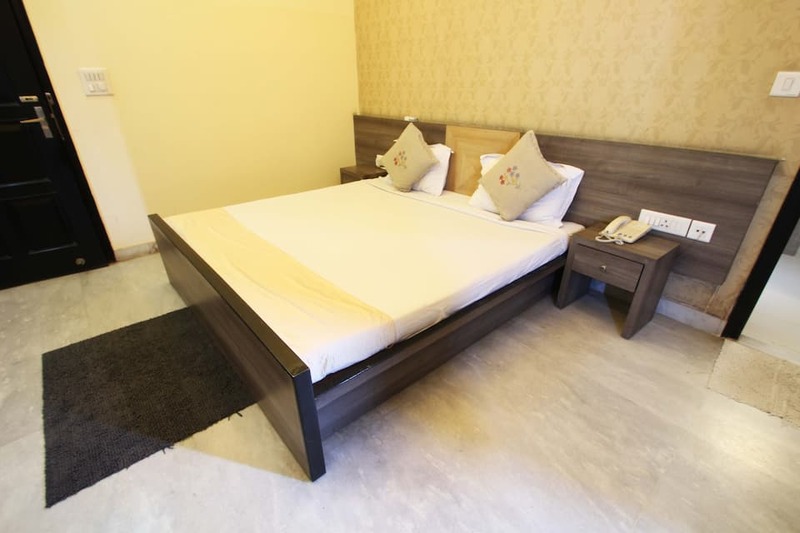 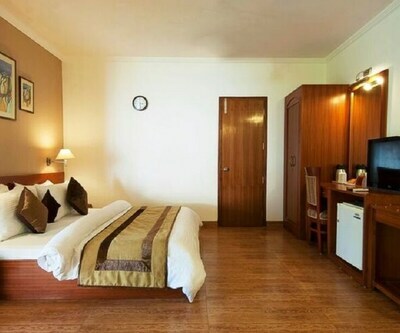 The hotel offers complimentary breakfast and high-speed Wi-Fi access.This 3-storey hotel has 24 well-appointed rooms with amenities such as an air conditioners, TVs, and refrigerators, Rooms have attached baths with shower. 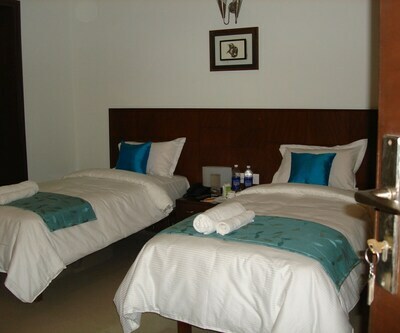 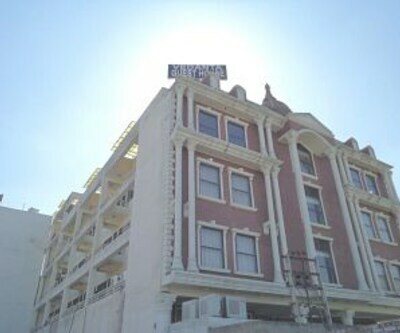 Services available include a doctor on-call, laundry, and 24-hour room services. 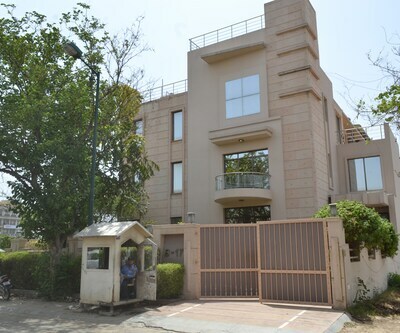 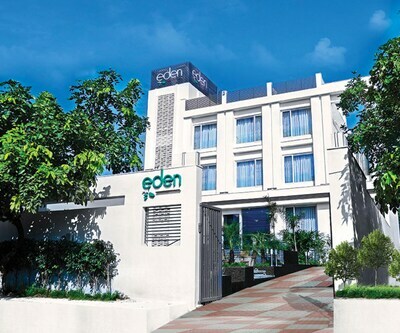 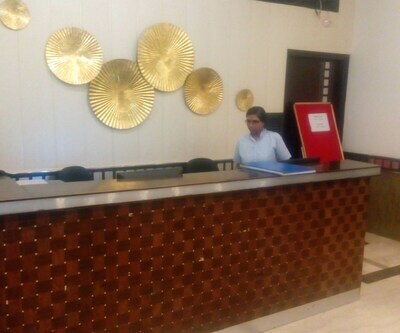 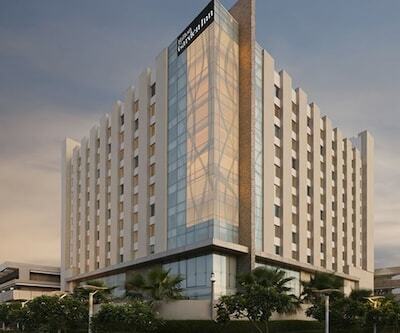 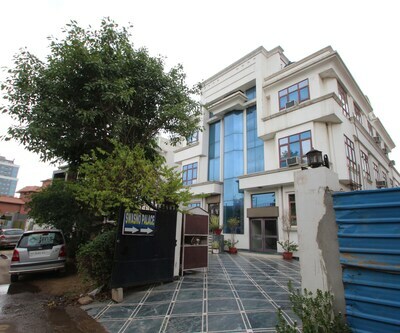 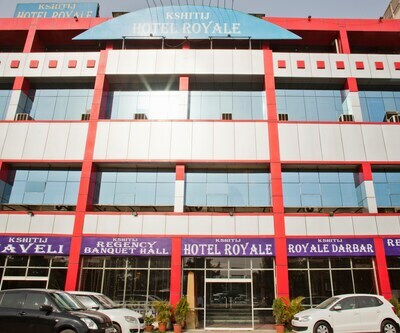 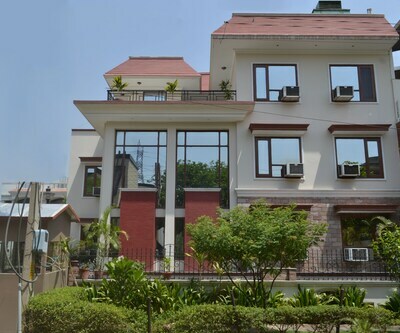 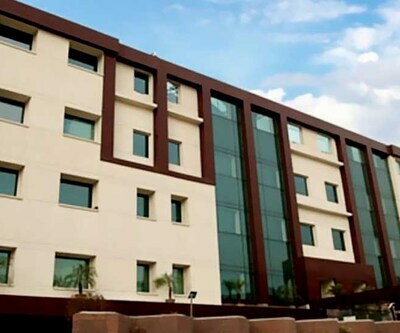 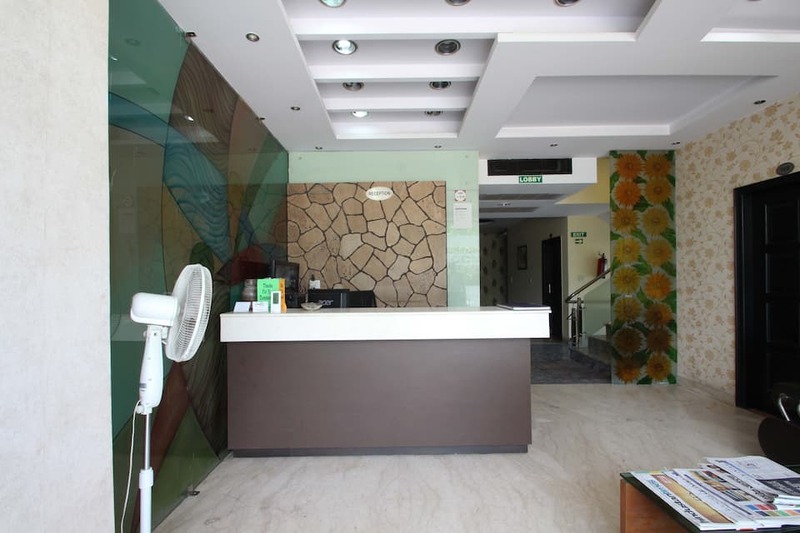 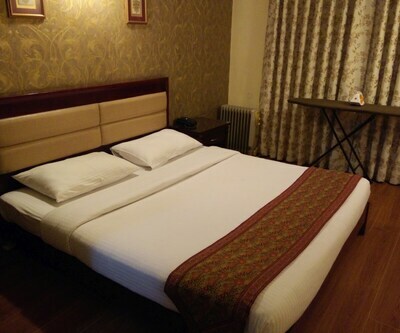 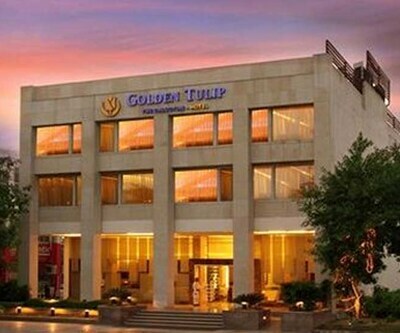 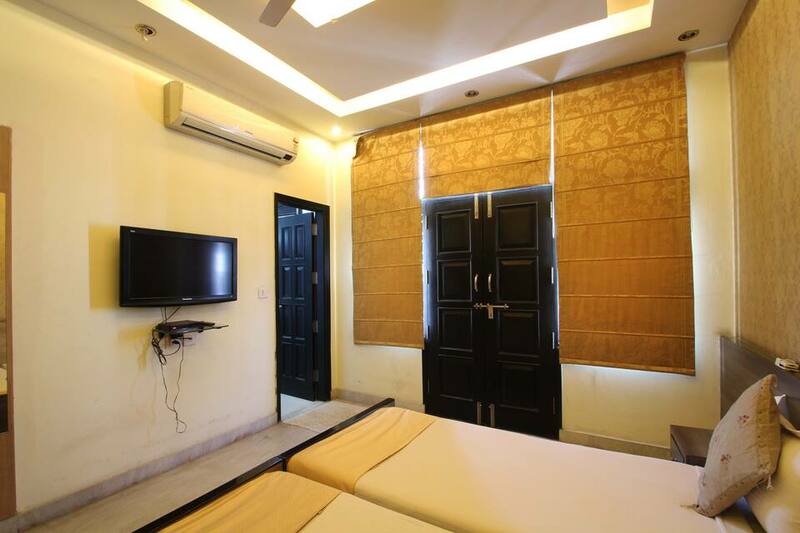 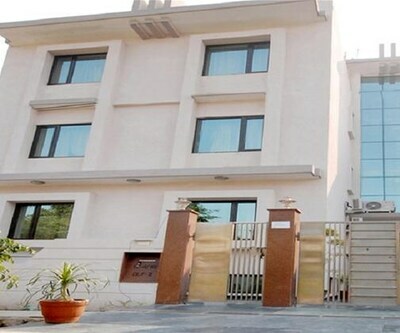 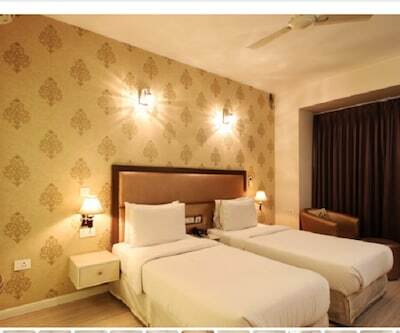 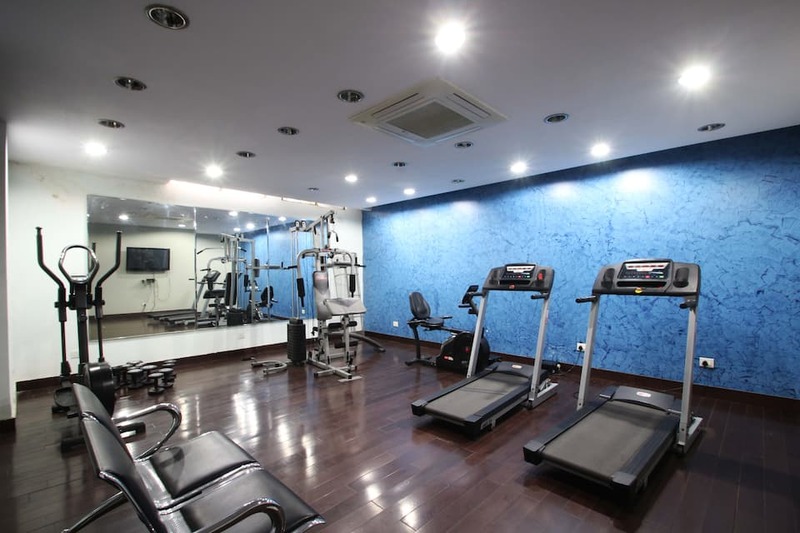 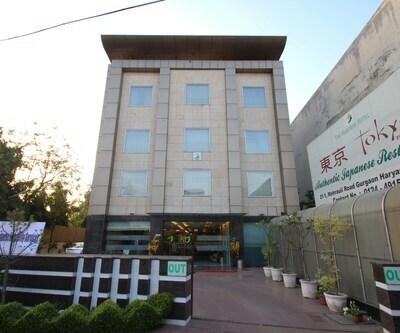 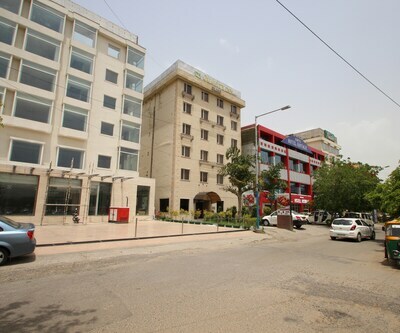 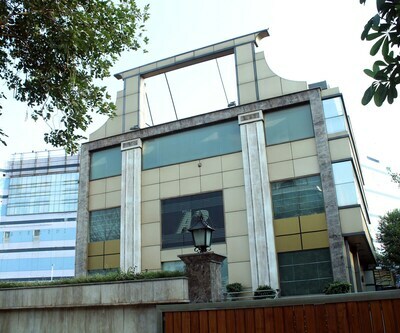 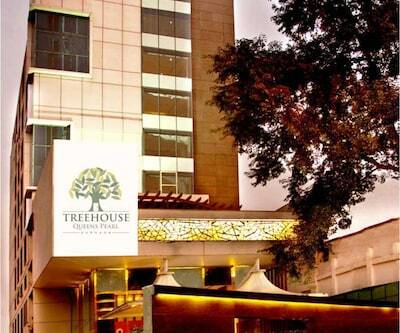 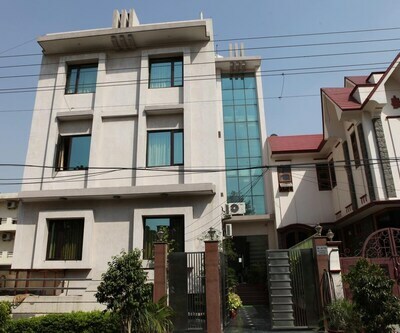 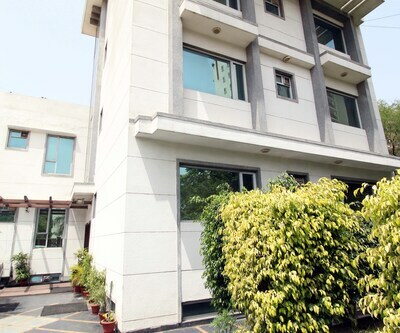 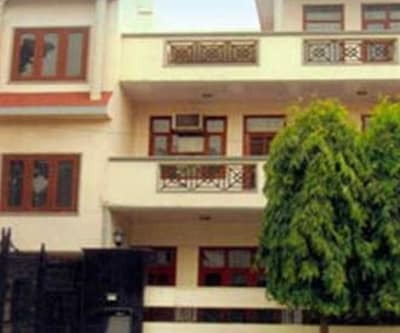 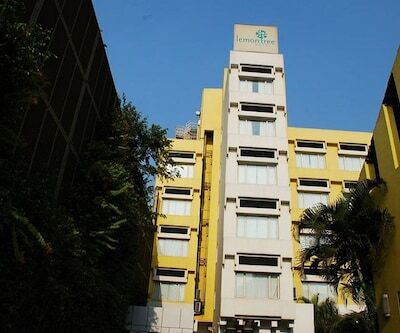 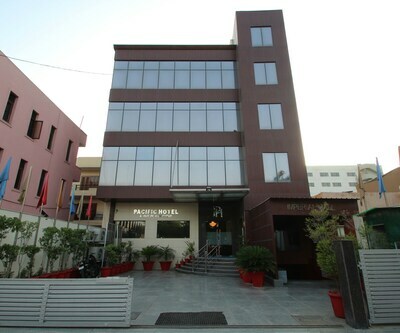 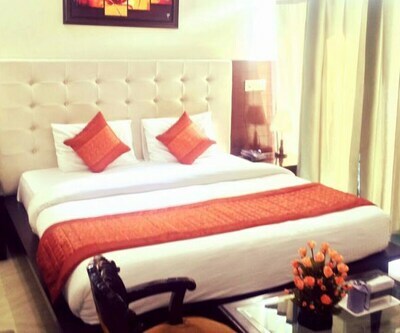 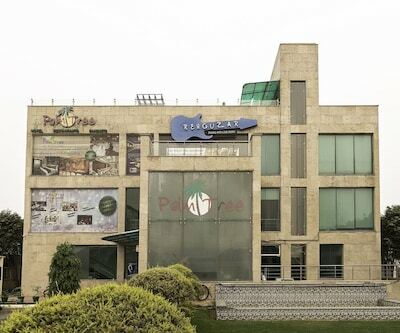 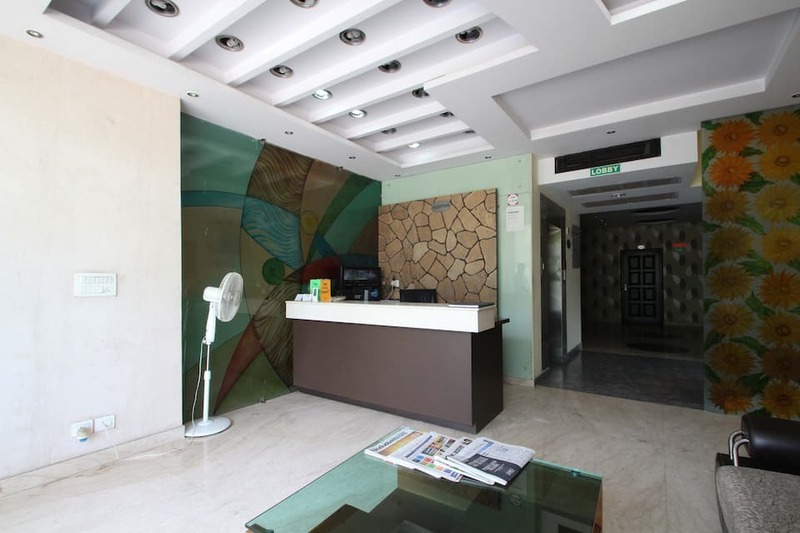 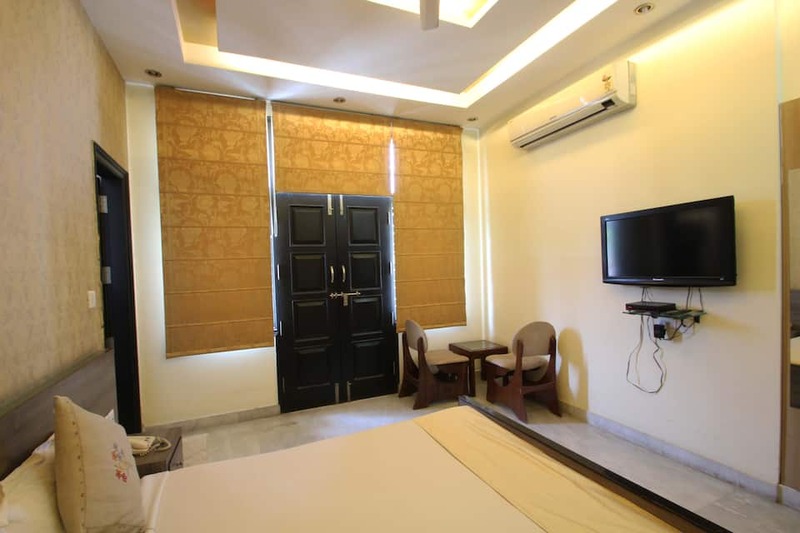 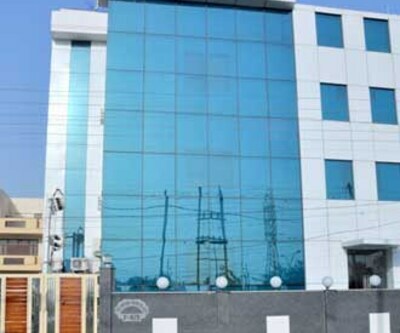 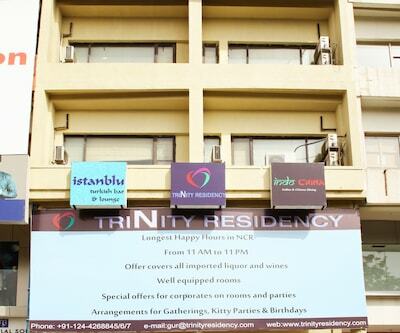 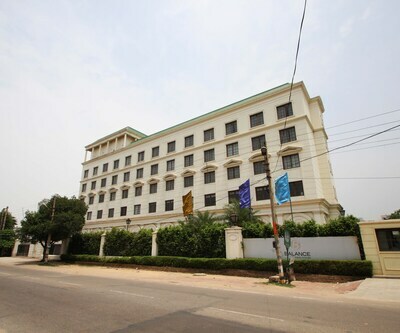 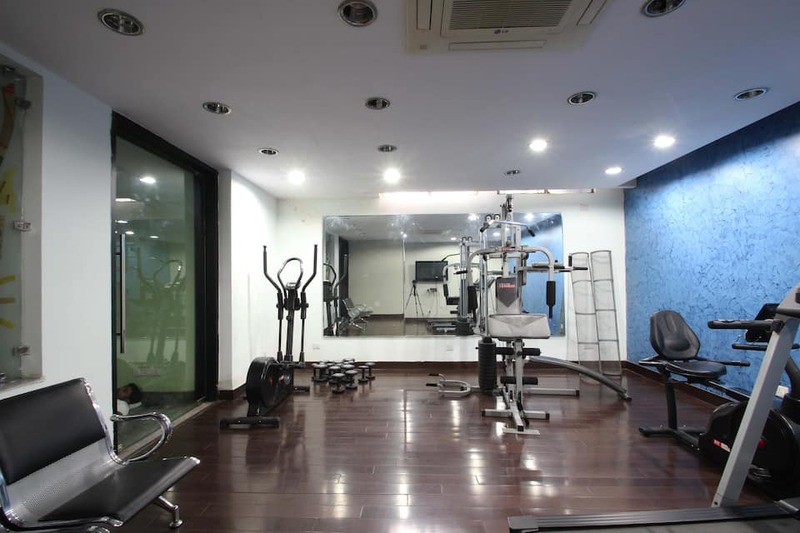 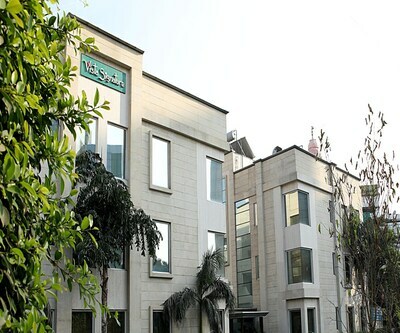 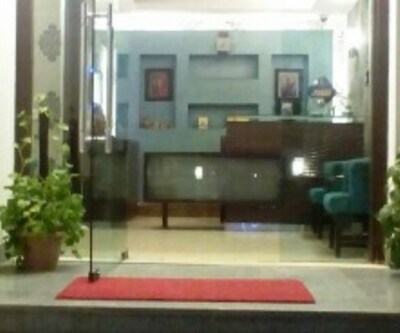 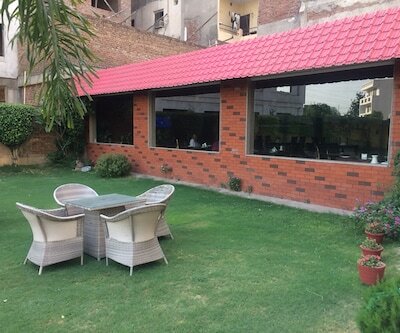 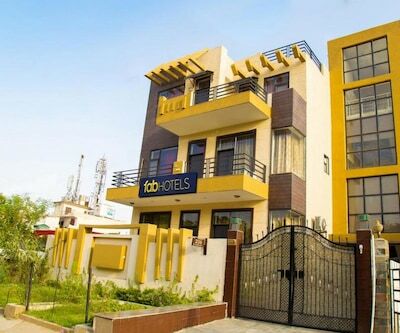 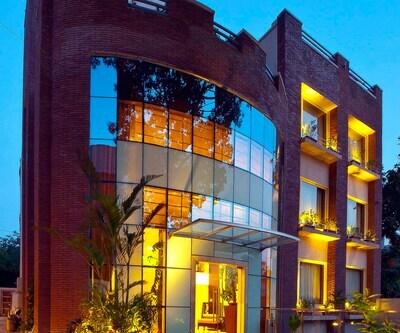 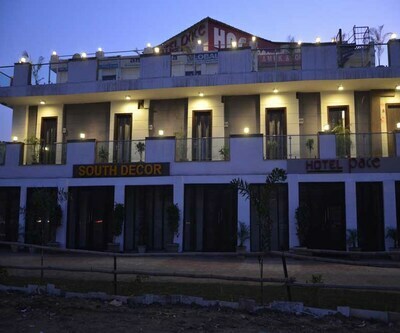 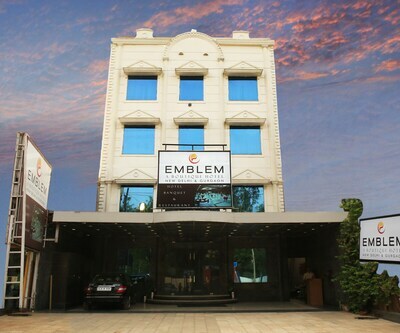 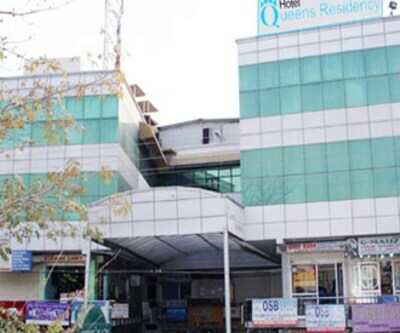 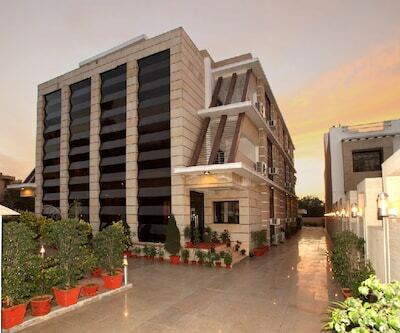 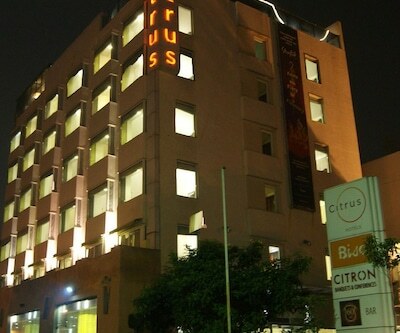 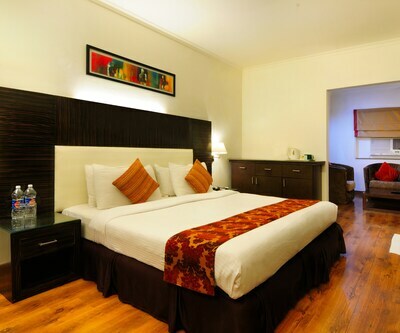 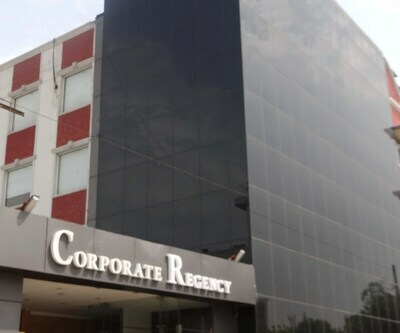 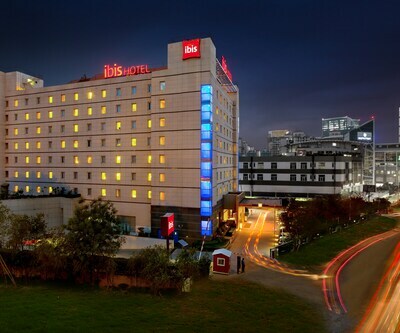 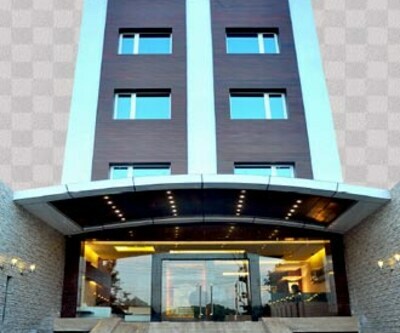 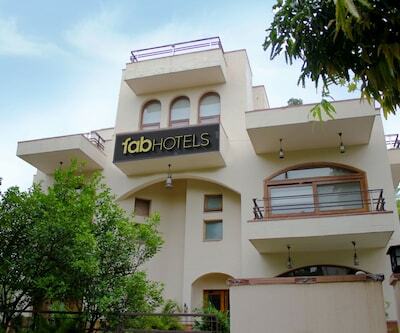 The hotel has a gymnasium, pool table, and power backup for uninterrupted power supply.This Gurgaon hotel is equipped with a business center and conference hall for corporate engagements. 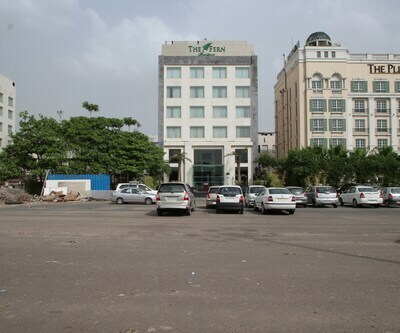 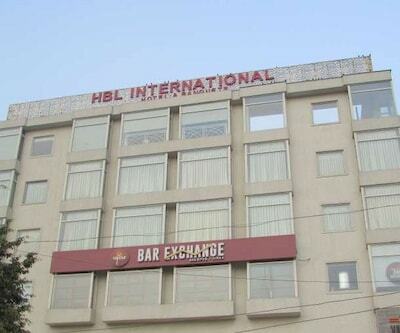 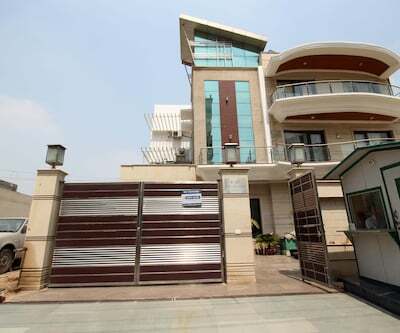 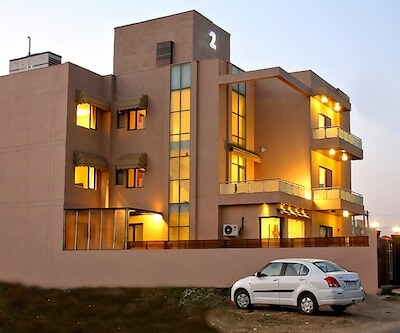 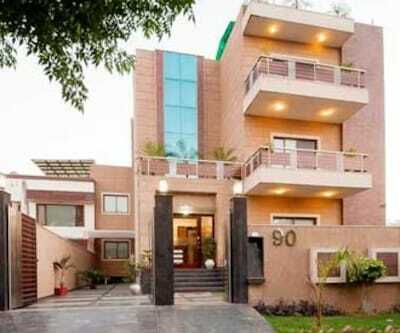 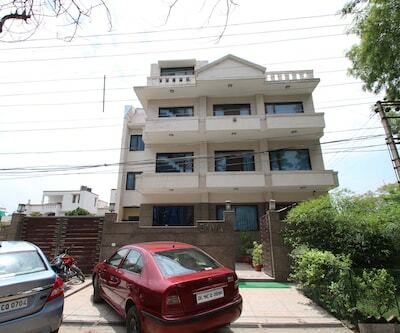 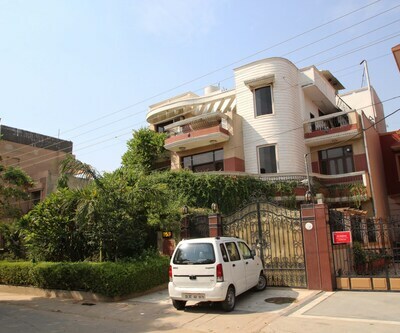 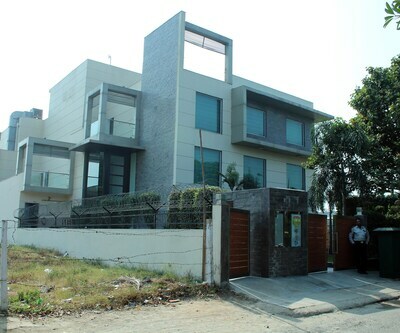 It is reachable from the Gurgaon Bus Stand (7 km) and Indira Gandhi International Airport (11 km). 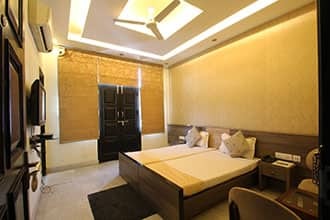 The Sai Ka Aangan (11 km), Aravalli Bio Diversity Park (12 km), Jantar Mantar (26 km), and Stellar Children's Museum (8 km) are a few tourist attractions to visit.